2K Sports added 5 new uniforms over the weekend, including the Golden State Chinese New Years, Miami Black Tie, Brooklyn Pride, Chicago Bulls Alternate, and Houston Rockets Chinese New Years. Check them out now! They also added the Jordan Melo M11 All-Star. Currently, you cannot equip these shoes when editing rosters. 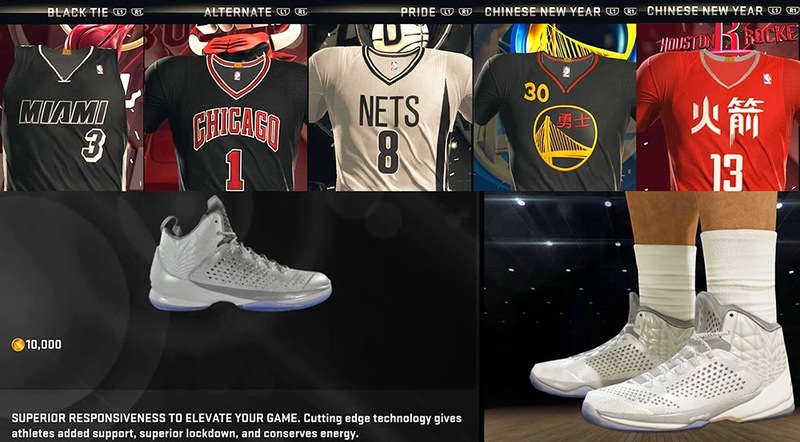 You can purchase the shoes in the MyPlayer store for 10,000 VC.